Nature’s fury at its peak, as rains affected life in the city of Chennai. From earthquakes to heavy floods, there has been a continuous run of news about natural disaster this year in the country. Natural disasters can take a tremendous toll on human life. Businesses also suffer heavily after a natural calamity – not only suffering physical damage but any natural disaster affects valuable data systems. We all know how dangerous water is, for digital devices. We always take special precautions to keep our gadgets like mobile phones, cameras, laptops etc., at a safe distance from water. But we are helpless in case of natural calamities, like what happened in Chennai recently. The extent of damage which has happened in the city is unimaginable. Rains flooded almost the entire city and brought it to a halt. Offices, houses, airport, railway stations, roads all were flooded with rain water. Data systems on the ground floors and basement areas were completely submerged under water and this has made important data inaccessible which may lead to many businesses suffering, even more, losses. As an Industry leader, Yash Data Recovery Services has an obligation to help businesses and citizens of the city in these trying times. Do Not Panic – Data Recovery from all media devices, which got submerged in flood water, is possible. We advise you to take some safeguards so that maximum data could be recovered. Power it down – Please ensure that external hard disks, Laptops, PC etc. are unplugged. Do not turn on your Computer/Laptop, Storage Box, external USB HDD or the servers. For Laptops please remove the battery and place it upside down. Keep Distance from Unqualified Professionals – In this situation of haste do not try out any solution advised by unqualified maintenance engineer or by your own. This may lead to permanent data loss. Do Not Open the Device: Shun the idea of opening the device; this can expose it to airborne contaminants making data recovery impossible. Do Not Dry the Hard Disk: The water regardless of the source contains particles that can damage the platter making the situation critical. People attempt to keep the devices under the sun or use blow dryer which worsens the chances of data recovery. The dry out will lead to deposition of contaminated residue on the platters where your data resides. This will cause physical degradation of platters making it impossible to recover data from it. Keep the Hard Disk Wet – Yes, we suggest you to keep your Hard disk wet. This stops the hard disk’s corrosion and the data recovery expert would be able to clean and dry the platters correctly with minimum damage to platter surfaces. Timeliness: In case of water damage to the hard disk, please make sure the hard disk or other media device is quickly taken to a data recovery expert. Do not delay, as the delay may lead to corrosion and may damage the platters. Opt for Qualified Professional Data recovery Service Provides – Make sure that only a qualified professional hard drive data recovery engineer opens your hard drive in a certified Clean Room Environment Do not hand over your media device with your important information to any amateur data recovery expert. As this may permanently damage the chances of data recovery, and can lead to permanent data loss. 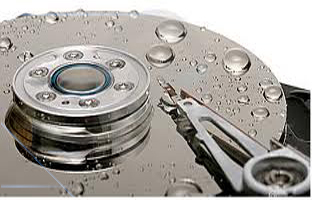 We at Yash Data Recovery Services have successfully retrieved data from water damaged, wet or flood hard disks over the past Eight years. We know loss of data is stressful and whether it was caused by accidental spillage or natural disasters like storms or flooding, we aim to minimize your stress by getting your data back. We ensure your data is safe and deliver it timely.